Today, I walked 3 miles just to have a single shot of espresso. I am supposed to travel outside the city and grace a house warming invitation of a friend. But, I didn’t go. Instead, I just stayed home and welcomed the idea of doing something random, simple, unplanned and hopefully exciting. I was browsing Facebook and I saw a little ad that says, ‘365 things to do in London’. I clicked the ad and it brought me to a website where it lists places in London that are not usually featured in tourist guides and magazines. No. 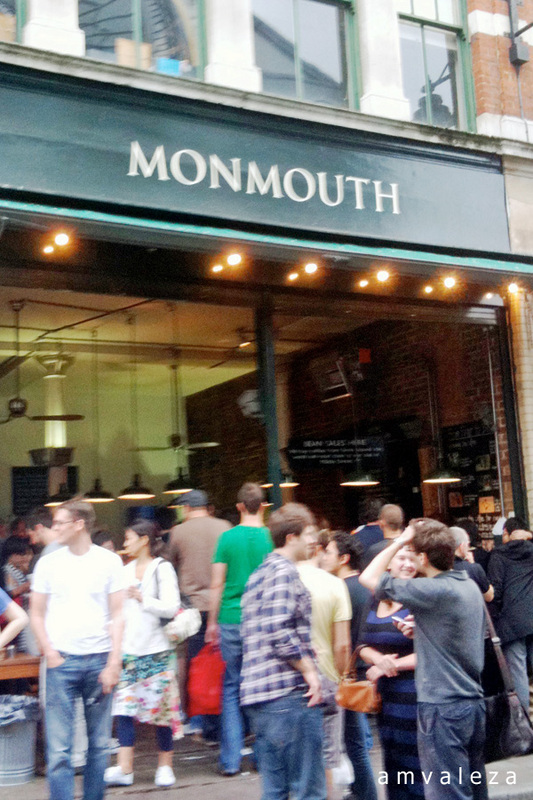 1 in the list – Monmouth. Promoted as having some of the best beans in London. I don’t really have a craving for coffee. The pre-requisite of me having one is either it is shared with a friend over a nice conversation or I am trapped somewhere and have to kill time then I will have a cup while reading a book. But today, I will pretend that I love caffeine. They have the usual selections of coffee but as what my Italian friend once said, real proper coffee is espresso. I queued, ordered my coffee and weird as it may sound, I felt extremely excited. The place was so busy that I decided to close my eyes while taking the espresso so I will be able to savour the taste and let my taste receptor cells give an objective verdict. An hour to get there and just less than a minute to enjoy the coffee – but it’s all worth it. Like an espresso, there are great things that happen in our lives that cannot be enjoyed for long. But, it will leave something within you. Whatever that something is, lock it safely in your memory. After today’s experience, what lies between me and coffee will never be the same as it used to be. I’m so glad you went on a random, unplanned and exciting adventure. It’s something we would have done back here in Manila! Although living vicariously through you, I felt the pleasure of that sip of coffee! Hope you’re having fun there! Beautifully written. 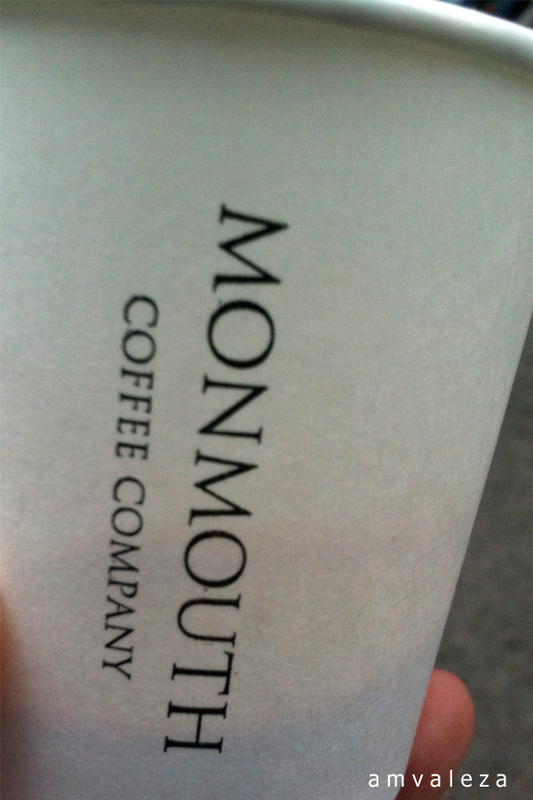 I have seen Monmouth! But, as you know, I don’t have patience to queue for a cup of coffee that I can have at home. Had I known it would be that good to merit a post on your blog, then I would’ve done the same albeit walked the 1.5 miles. Truly, London was one of those.